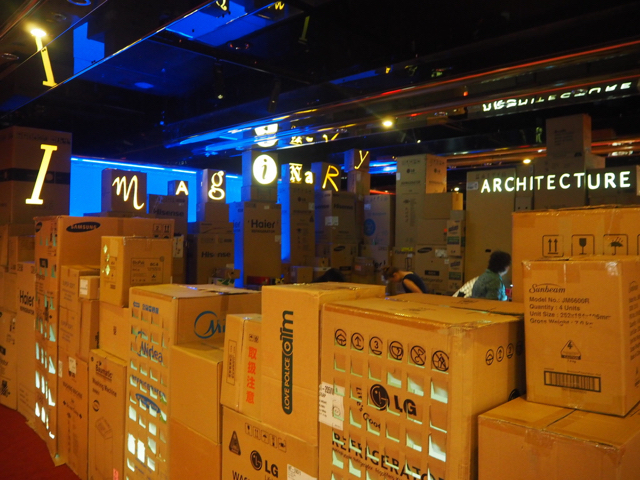 ArtPlay may be closed for renovations until Saturday 29th July but they have a little surprise organised for ArtPlay fans - Imaginary Architecture is coming these upcoming July school holidays! Join ArtPlay and artist Lara Tumak as they take over Kensington Town Hall. Kids can make their own special diorama to add to a mega mini city in this cool free event. Is it possible to create architecture out of nothing more than dreams? How about some cardboard, sticky tape and string? Town planners, master builders and architects extraordinaire are invited to create a mega mini city for everyone to explore. Bring a box from home (an empty biscuit, cereal or teabag box for example) or grab one of ours, and we’ll turn this into a diorama to add to the sprawling city! Pick up a torch and explore our imaginary city - see what stories you can find! Imaginary Architecture was developed by Lara Tumak at ArtPlay and was featured at the Arts Centre Melbourne in January this year. Kate Flatman and her munchkins checked it out, read their review here. Imaginary Architecture will be on at Kensington Town Hall at 30-34 Bellair Street in Kensington from Thursday 6th of July 2017 to Sunday 9th of July 2017 between 11 am and 3 pm. FREE and no booking required. Kids 4 to 12 years will love this event and must be accompanied by an adult. For more information, head to the ArtPlay website.